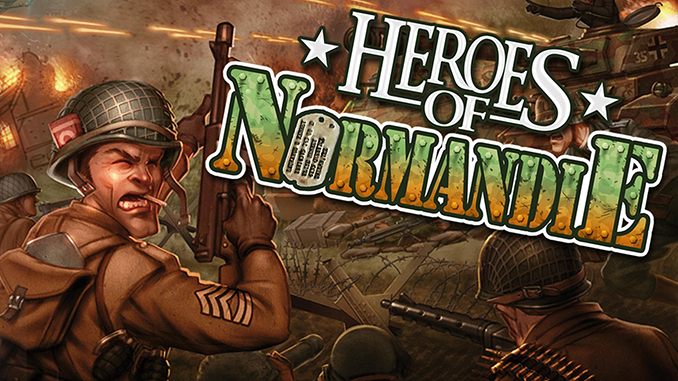 Heroes of Normandie is a turn-base strategy video game developed by Cat Rabbit and published by Slitherine Software Ltd. It is a PC implementation of the tactical WWII-themed board game of the same name with the addition of cards. The game was first released on October 1, 2015 for Microsoft Windows. The Bulletproof Edition is bundled with its two expansions: US Rangers and 21st Panzer Division. Plenty of ways to play: complete the three full-fledged campaigns, engage in a quick skirmish, survive through the rogue like mini campaign or challenge a friend in multiplayer. This game is chock full of content and as this is a game system more than a single game, expect tons of features to expand the experience in the near future.